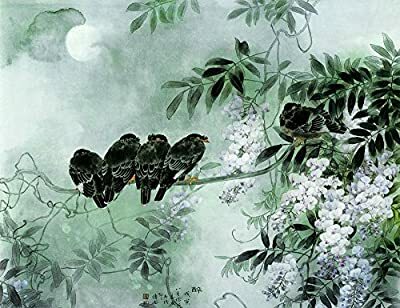 Wisteria Wood under Moon Oil Painting Reprodution. Based on Famous Traditional Chinese Realistic Painting. (Unframed and Unstretched).